In 1860, Charleston, South Carolina, embodied the combustible spirit of the South. No city was more fervently attached to slavery, and no city was seen by the North as a greater threat to the bonds barely holding together the Union. And so, with Abraham Lincoln's election looming, Charleston's leaders faced a climactic decision: They could submit to abolition - or they could drive South Carolina out of the Union and hope that the rest of the South would follow. 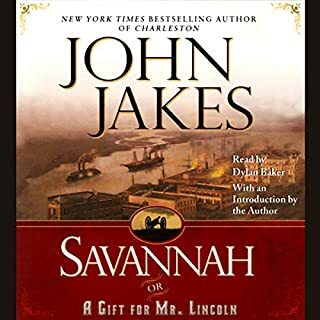 Charleston follows the lives, loves, and shifting fortunes of the Bells - saints and evil-doers mingled in one unforgettable family - from the American Revolution through the turbulent antebellum years to the Civil War and the savage defeat of the Confederacy. 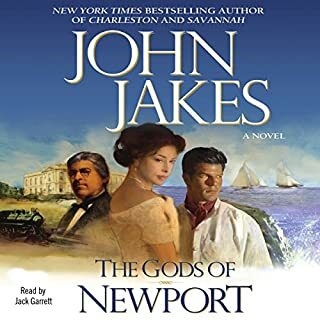 Delving into our country's history as only he can, Jakes paints a powerful portrait of the Charleston aristocracy who zealously guarded their privilege and position, harboring dark family secrets that threatened to destroy them all. 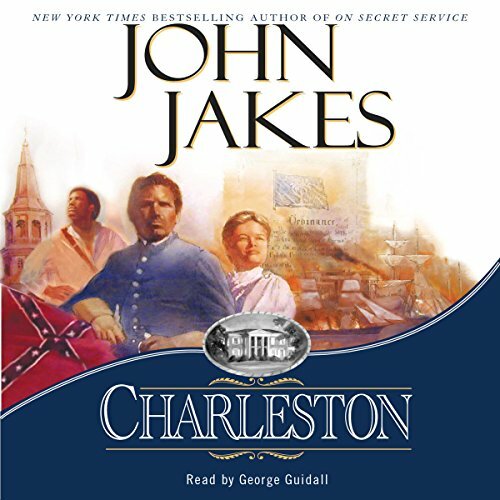 Sweeping from the bitterly divided Carolina frontier of the 1770s through the tragic destruction of the city during the Civil War, Charleston represents America's premier storyteller at his very best. Would you listen to Charleston again? Why? No - could not get through it. Did not enjoy the narrator and felt he was all wrong for this book. His voice was way too old sounding and he didn't portray characters well. Love john Jakes books and have read them all. Also lived in Charleston. What didn’t you like about George Guidall’s performance? Every character sounded old and male. If you could sum up Charleston in three words, what would they be? What was one of the most memorable moments of Charleston? John Jakes is a master of intertwining history and fictional families into lively and interesting novels. This one is no exception. The one problem I have with his stories is that there are so many families with multiple generations, that keeping the characters straight can be challenging. George Guidall's performance is excellent. His accents are credible and his character interpretations are rich and distinctive. 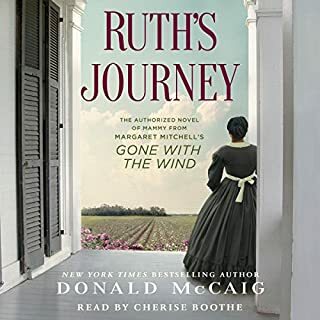 Where does Charleston rank among all the audiobooks you’ve listened to so far? Usually I don't have one character that stands out in a piece as it takes them all to make a story. However in this book, Alex emerges as one outstanding woman who would stand by her beliefs to the point of leaving her family and braving the trip and settlement in the north and taking the risks that were involved in publically conveying her story and encouraging others in freedom for all and women's suffrage. Her return to her home state during the war, knowing the hostility that she would and did face and given the choice remained through threat to her family and her personal life speaks of a conviction and determination that served her well. She was a true caring person for others, no matter their race or gender and kept to her beliefs no matter what. Would you listen to another book narrated by George Guidall? I probably would if it was a well known author that I liked. However I don't care for his style of reading. 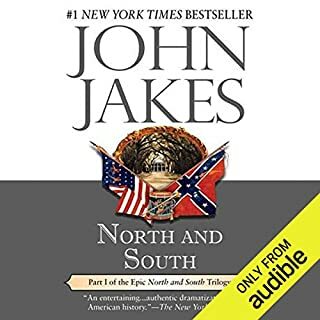 He reads too fast and in a book born out of the south, not once did I hear the classic southern drawl that is so distinctive of that geographic area. I kept waiting to hear it, know that during revolutionary times it probably wasn't yet present, yet there comes a time in the history of the south the is it most definitely present. That takes away from the authenticity of the read. If you could rename Charleston, what would you call it? Charleston is a perfect name for this book. After all, this is what its about! 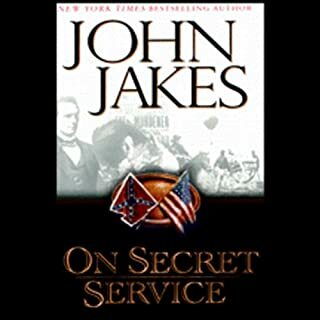 I looked forward to listening to this John Jakes book. I was very disappointed. The characters were predictable and boring. Not to mention that while the actual history was researched and factual, the characters acted in a way that did not reflect the society in which they lived. Not really my usual choice but I was visiting Charleston and wanted to understand that incredible city better. A little heavy on the romance and melodrama but those descriptions seem to characterize the times. The storyline was good and the characters were well developed. 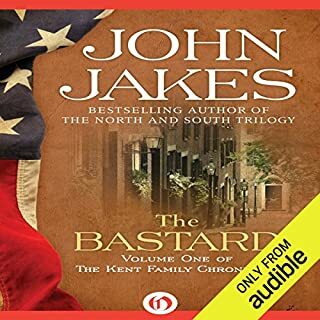 What made this audiobook great, in my opinion, was the reader. He was spot on with the accents, and was even convincing with the female characters. This story was too simple and did not keep me interested enough to want to finish it. John Jakes does it again. I would, to find points of the novel I liked, or points I might have missed. The overall plot, as well as the diverse cast of characters. Alex making the decision to leave Charleston for a time, showed the courage she'd gained. The off-page death of Henry, almost made me cry. A must-have for fans of John Jakes, and historical fiction I believe. I was very disappointed in this one. Thais story did not even hold my attention and the story was so boring I couldn’t ever finish it. Expected better from this author.